One of the things I love most about Summer drawing near is that the evenings are getting longer which allows for more time to entertain and enjoy company. 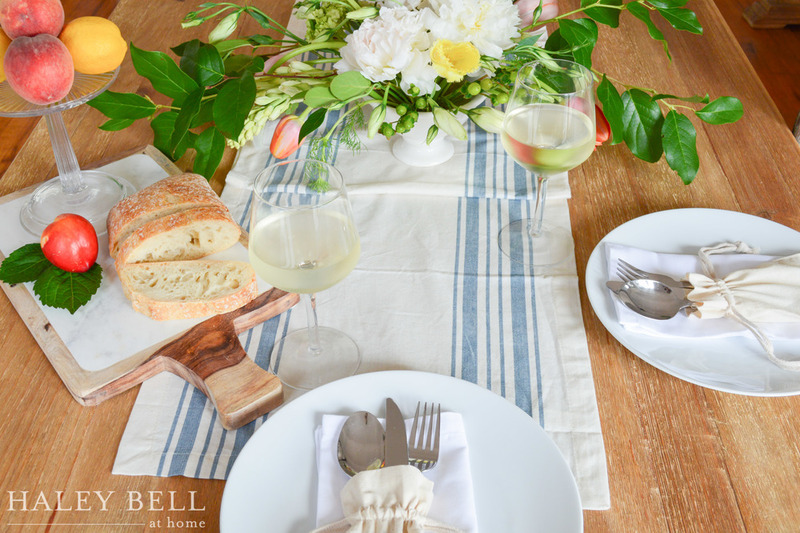 I recently attended the Sinclair and Moore event design workshop and I wanted to take what I learned and put together a special tablescape and flower arrangement for my husband and I to enjoy for a Summer evening in. 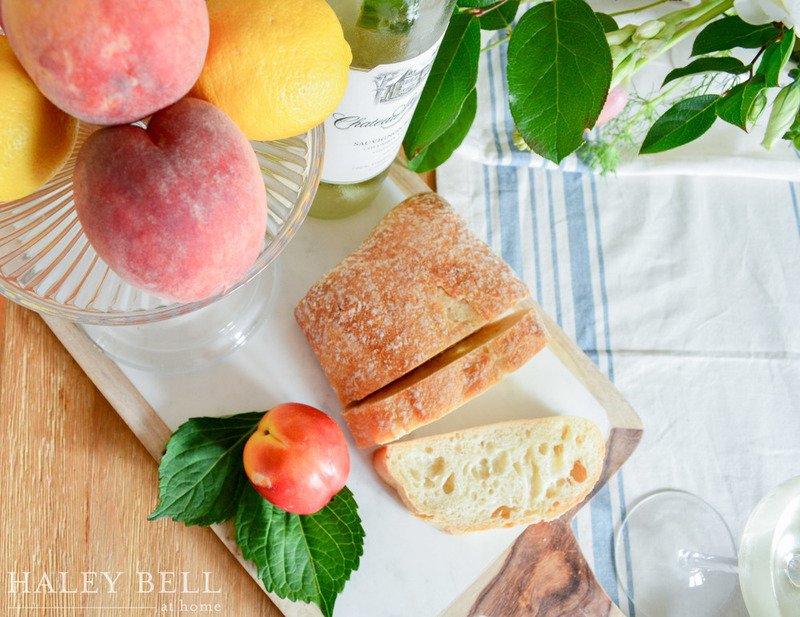 My inspiration came from the first crop of beautiful peaches, nectarines and lemons that we had in our kitchen. I couldn't pass up an opportunity to include them in the design. They also inspired the colorscheme for the flowers. I included lots of whites and greens accented with yellow and coral colored tulips which gave the table a nice cohesive look. 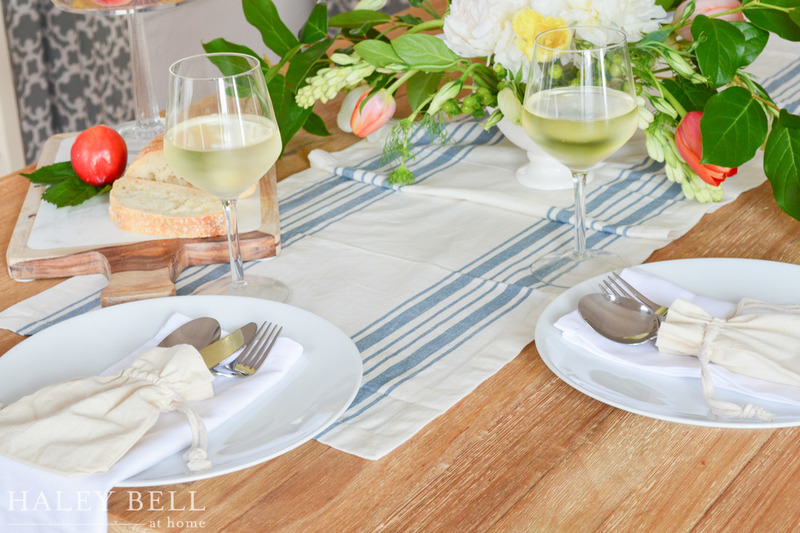 I kept the linens light with a simple blue striped table runner, crisp white linen napkins and an off-white linen pouch for our silverware. 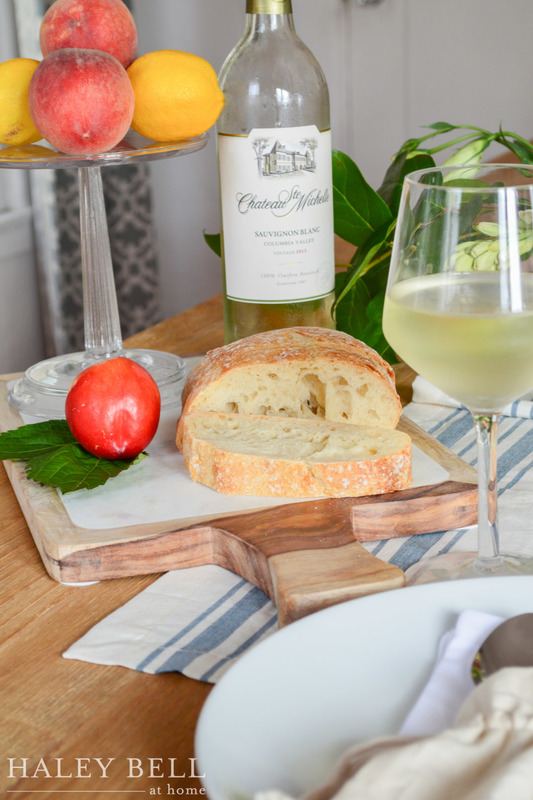 Keeping the table design simple yet elegant allowed for casual conversation to linger over our wine and enjoy a nice meal together. It also reminded us of our trip to France last year where we were so inspired by the decor and the amazing food and wine there. My favorite nights with my husband are when we are simply at home together, enjoying a nice meal. I look forward to many more of these Summer evenings ahead!